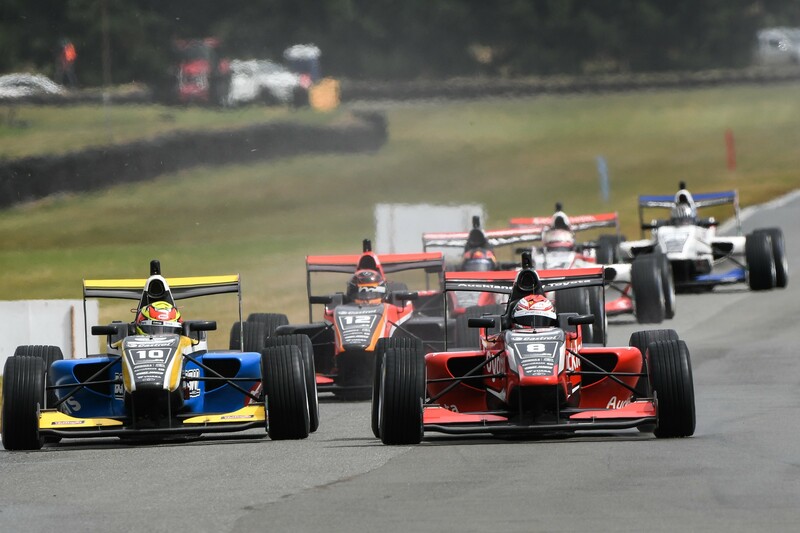 Caption: Marcus Armstrong (right) and Liam Lawson fight it out for the win at Teretonga. Armstrong prevailed. Picture Bruce Jenkins.